TORONTO (Reuters) -- About 3,000 General Motors salaried retirees in Canada have won a class-action case against their former employer over cuts in health and life insurance benefits, according to a report in the Globe and Mail newspaper. The lawsuit stems from the U.S. automaker's attempt to slash the health and life insurance benefits of salaried retirees as it scrambled to stay afloat during the 2008-09 financial crisis. 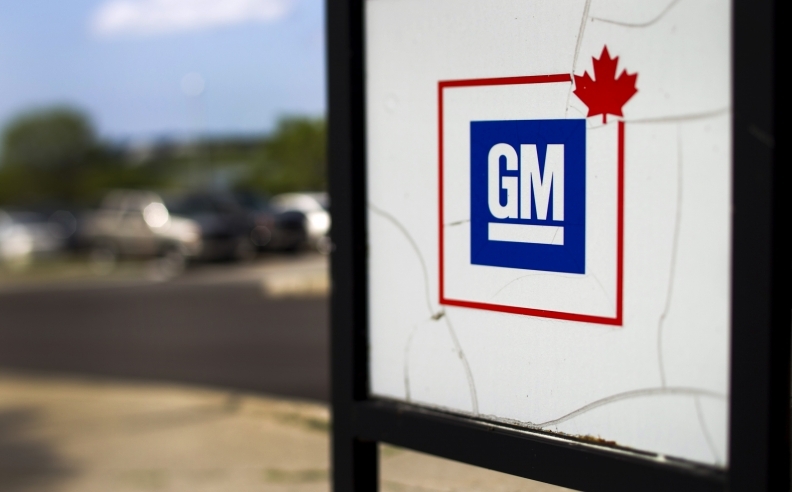 The class-action lawsuit was filed against GM Canada in May 2010 on behalf of 3,297 retirees and their families, the Toronto Star reported. The lawsuit covered plaintiffs who retired from GM in Canada between 1995 and Oct. 2011. The ruling could cost the company hundreds of millions of dollars in past and future benefits that it tried to clear from its books as it teetered toward insolvency five years ago, the Globe said. The final bill and settlement must still be worked out, but the plaintiffs' statement of claim initially demanded about $350 million. A spokeswoman for GM told the paper that the automaker is disappointed with the decision and plans to file an appeal. The judgment -- released Wednesday in the Ontario Superior Court by Judge Edward Belobaba -- said that the language in GM’s benefits contract was not “sufficiently clear and unambiguous” to allow it to cut most of its retiree’s benefits. But the judge ruled that GM was entitled to deny an enhanced set of benefits the company promised to 67 former executives. The judge said that the automaker was clear in its warning that it had the right to cut the executive’s benefits, the Toronto Star reported. “The salaried retirees, some of whom had worked for decades at (GM Canada) and were told repeatedly in the benefit documents that they could rely on the promised health care and life insurance benefits, were stunned,” the decision said. The ruling stated that during the financial meltdown from 2007 to 2009, GM cut the benefits it was paying to executive and non-unionized, salaried retirees, which affected drug costs, semi-private hospital coverage and decreased the basic life insurance benefit from $100,000 or more to $20,000, the paper reported. GM claimed that the benefits documents allowed the company to “amend, modify, suspend or terminate” benefits “at any time,” but the judge ruled that this applied only to employees, not retirees. The plaintiffs' lawyer and a spokeswoman for GM Canada were not immediately available for comment, Reuters reported. The retiree’s lawyer, Louis Sokolov, told the Globe that the plaintiffs were happy with the decision. “These are people who were planning their retirement based on what was promised to them,” Sokolov told the paper. GM retiree Joseph O’Neill launched the class action suit after he saw his life and health insurance benefits cut in 2007 to 2009. O’Neill died last year, but was replaced by another retiree who took over as plaintiff. Steven Barrett, another lawyer for the retirees, told the Toronto Star that the decision could set a precedent. “It’s a very positive outcome for them and for any Canadian workers who’ve been promised retirement benefits and after they retire, the employer tries to reduce them or eliminate them,” Barrett said to the Toronto Star. Isabella Shaya of Automotive News contributed to this report.